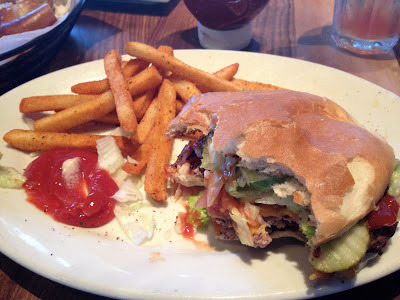 One of the things I missed most when I was in Costa Rica was a delicious hamburger and fries. Hamburgers in Costa Rica were really not good. got a delicious hamburger and cajun fries. And it was so yummy!!!! I never thought I would miss this giant boat of a vehicle. But after months of not driving I was so happy to see my giant minivan. A car isn't just a car you see it is a key to freedom. I love public transportation but it is really nice to have a car and be able to go wherever you want whenever you want. 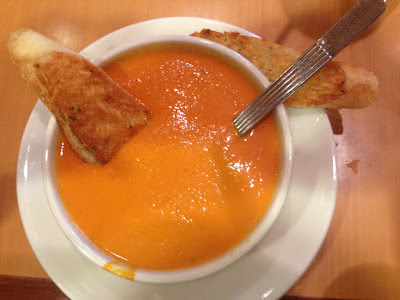 I was also super happy to go to Nordstroms cafe and get a delicious bowl of tomato soup. Pretty much what I missed most about the states besides my friends and family was food. Cost Rica just really isn't the place to go for culinary deliciousness.